The 2016 Major League Baseball Players’ Choice Award winners were announced Wednesday night on MLB Network. Unlike the BBWAA awards, these awards (as the name would suggest) are voted on by players from around baseball each September, when they receive a ballot to make their picks for each category. Seven categories in all, American League players vote for American League players, with National League players voting for National League players; with the exception of the Marvin Miller Man of the Year award, Always Game award and the Player of the Year award, in which players from both leagues vote for a single player. Whether or not both of these players end up winning the official BBWAA Rookie of the Year award next week, seeing them recognized for their efforts on the field in their very first season is special. Each was very deserving of the honor, and it will be fun to watch and see what they will be able to do in 2017 and beyond. Both Kyle Hendricks and Rick Porcello had fantastic, breakout seasons this year in their given leagues, and each played huge roles in getting their teams to the postseason. If they can both keep their great seasons going, they very well could be picking up this honor again next year. After the season Mark Trumbo had, leading all of MLB in home runs, it was no shock that he won it for the American League. Picking up the award for the National League was the late Jose Fernandez, who was voted as the winner jut five days before his untimely death in September. Always giving his full effort night after night, Jose Altuve once again took home this award for the second straight season. Although Altuve is one of the smallest players in baseball, his impact is huge both on the players around him and the Astros as a whole. Altuve also was awarded the Outstanding Player Award, along with Daniel Murphy of the National League. Each were absolutely terrific this season, and each will look to keep that going next year. While the game of baseball is unpredictable, these two players being stars in 2017 is basically a sure thing. Curtis Granderson gives back to his community more than nearly every player in Major League Baseball, winning him the Marvin Miller award for 2016. Stats aside, this award is about what a player has done for others off of the field, and Granderson certainly did more than enough to win this honor. Winning his third award of the night, Jose Altuve was voted on as the best overall player in baseball for 2016. With so many to choose from, this is one of the biggest honors given out for the Players’ choice awards. To have your peers say you’re the best the game has to offer truly speaks volumes for the level of player Altuve is. The 2013 MLB Players Choice Awards were announced last night on MLB Network. These awards, as the name would suggest, are voted on by players from around baseball — American League players vote for American League players, with National League players voting for National League players, in most categories — each September, when they receive a ballot to make their pick for each category. The winning players for each category are awarded a grant from the MLB Players Trust, ranging from 20,000-50,000 dollars depending on the category they win. The money goes to the winners’ choice of charity, with some players deciding to split up the money between multiple causes. 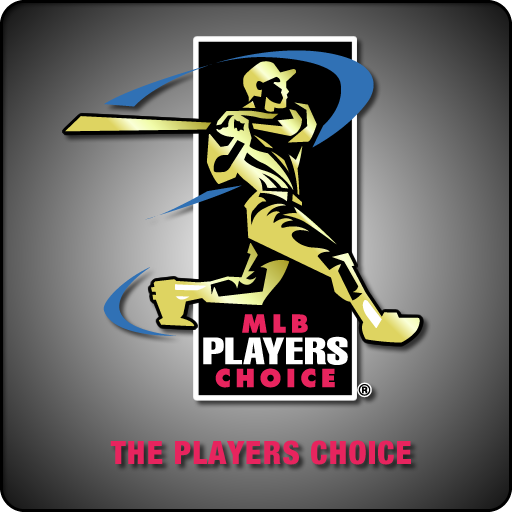 This marks the 21st annual Players Choice Awards, which began in 1992. In my opinion, the players got it right. While there were several good candidates from both leagues to win the Outstanding Rookie, none deserved it more than Wil Myers and Jose Fernandez. Myers batted .293 with 13 home runs and 53 RBI’s while Fernandez went 12-6 with a 2.19 ERA. Truly incredible inaugural seasons, and I hope the baseball writers pick them for the Rookie of the Year award next week. There was really no competition here. While every nominee had a great season, both Max Scherzer and Clayton Kershaw stand above the rest. While Darvish’s 2.83 ERA and 277 strikeouts are impressive, beating out Scherzer in each category, it’s hard to ignore Scherzer’s win-loss record of 21-3. Likewise, it’s hard to ignore Clayton Kershaw’s ERA of 1.83 for the season. Both will likely be named the Cy Young award winners for their respective league. Of the American League nominees, you knew it was going to be Mariano Rivera. There was no way his final season, in which he recorded 44 saves after suffering a season ending injury in 2012, was going to be overlooked. Rivera truly had a comeback year for the ages. On the National League side, Francisco Liriano had a great year, going 16-8 with a 3.02 ERA, however, I thought Troy Tulowitzki deserved the award, after the subpar seasons he’s had lately. But it is what it is. It came down to Miguel Cabrera and Chris Davis for me in the AL, as both had amazing years — not to take anything away from Mike Trout. Cabrera ended up receiving the honor, as his batting average of .348 to go along with 44 homers and 137 RBI’s made the hard decision a little easier. Andrew McCutchen won for the NL, and I by no means agree with that. McCutchen had a great year, no doubt about that, but Paul Goldschmidt’s .302 average with league leading 36 home runs and 125 deserves it more. The Marvin Miller Man of the Year Award is given each year to the player most recognized for outstanding on-field performance and off-field contributions to his community. Past winners include Mark McGwire, Albert Pujols and Chipper Jones. This year it went to Mariano Rivera, and I couldn’t think of a better person to receive this award. It’s always difficult to pick between a hitter and a pitcher, as their stats are completely different. Having to choose between a .348 average, in Miguel Cabrera, 53 home runs, in Chris Davis, and a 1.83 ERA, in Clayton Kershaw, makes things even more complicated. But the players went with Cabrera, and I can’t argue against that. This is the second straight season Cabrera has been named player of the year by the players. In addition, it was announced that Miguel Cabrera will be the new cover player for MLB 14 The Show. Not a bad year for Cabrera.